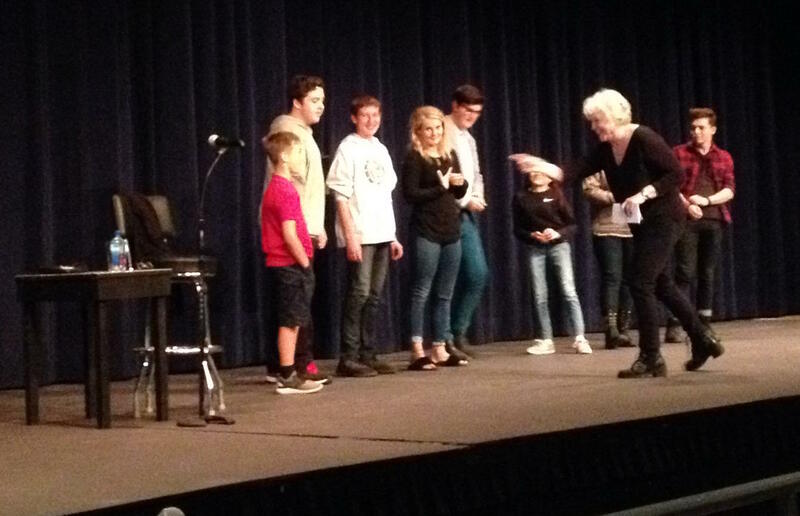 Julia Sweeney puts Gonzaga Prep students through improvisational comedy exercises this week. Doug Nadvornick hosts the September 27, 2018 edition of SPR's Inland Journal. ▪ We’ll look at the two races for Spokane County commissioner, Mary Kuney and Rob Chase, and Al French and Robbi Anthony. ▪ We’ll also meet the candidates for a District Court seat: Patrick Johnson and Randy Brandt. ▪ And we’ll talk with Julia Sweeney, entering a new phase of her comedy career. We caught her at Gonzaga Prep, where she was teaching high school students about improvisational comedy.